The moment when things started going wrong. Gothic is about a harsh medieval landscape and the even harsher folks that populate it, right down to the tattered leathers and tattooed hides. It’s about grim lives, all nasty, brutish, and short, and usually hastened to their end by you, the nameless hero who plays a recurring legend in each installment’s tightly crafted yet largely nonlinear story. What it lacks in formally dressed vampires and flying buttresses, it more than makes up for with its vision of an alternate Dark Ages populated by Orcs, magicians and Undead hordes. 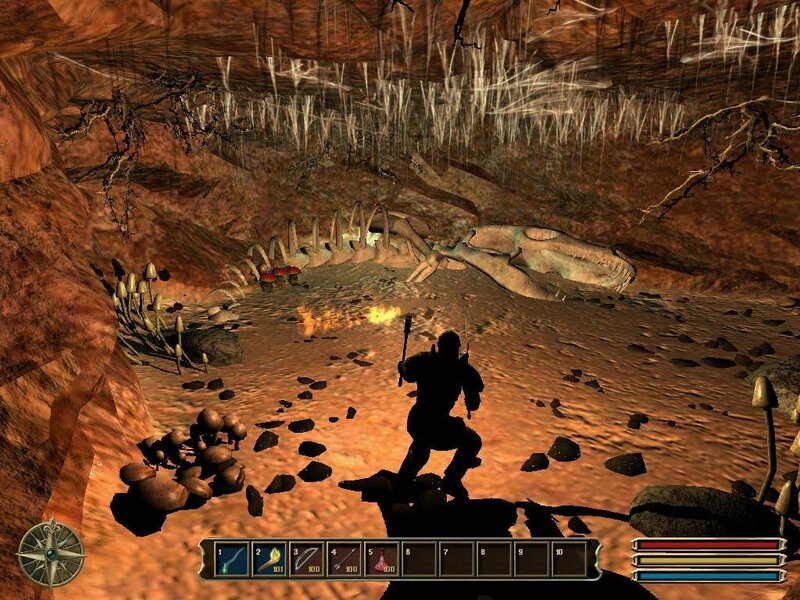 The original Gothic games competed with the likes of Morrowind even though it was a lot lighter on stat crunching. 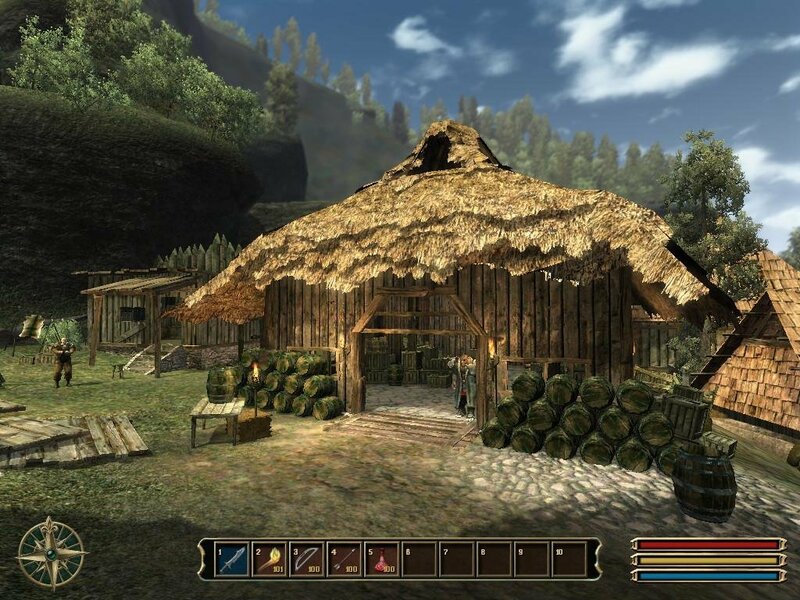 Character development took a backseat to non-player character interaction – you mingled with the populace, made cozy with the various factions, and went through hours of dialogue. 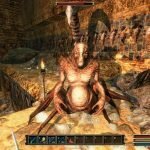 The experience was a lot more personal than Morrowind’s rather stale, non-talkative world characters who were more or less virtual sign posts and souless quest dispensers. 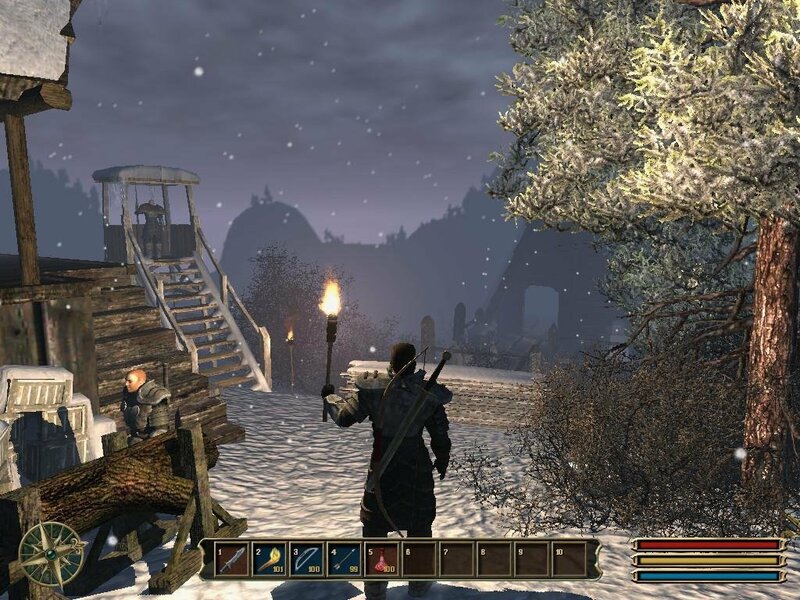 The bleak world of Gothic was a lot more lively, in comparison. 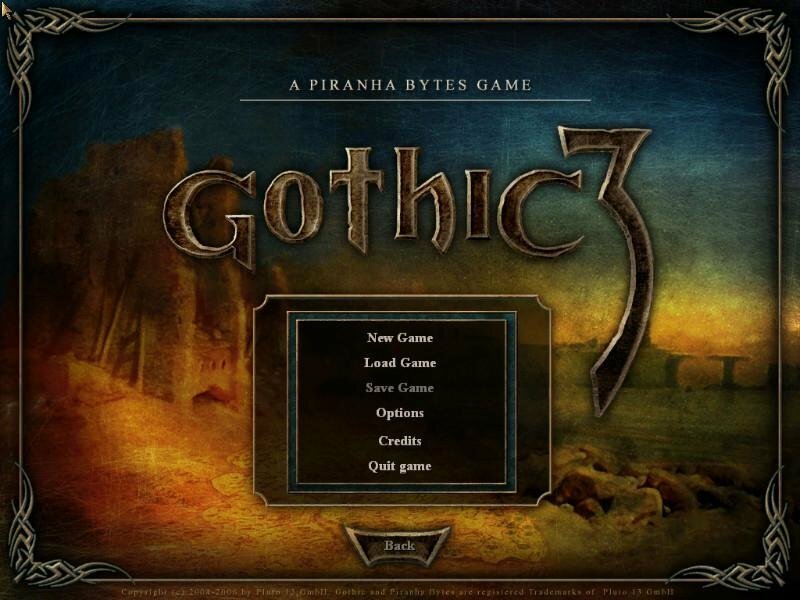 Despite high critical acclaim, the first two Gothic games were rough around the edges, much like the rogue’s gallery of characters that populate each game. 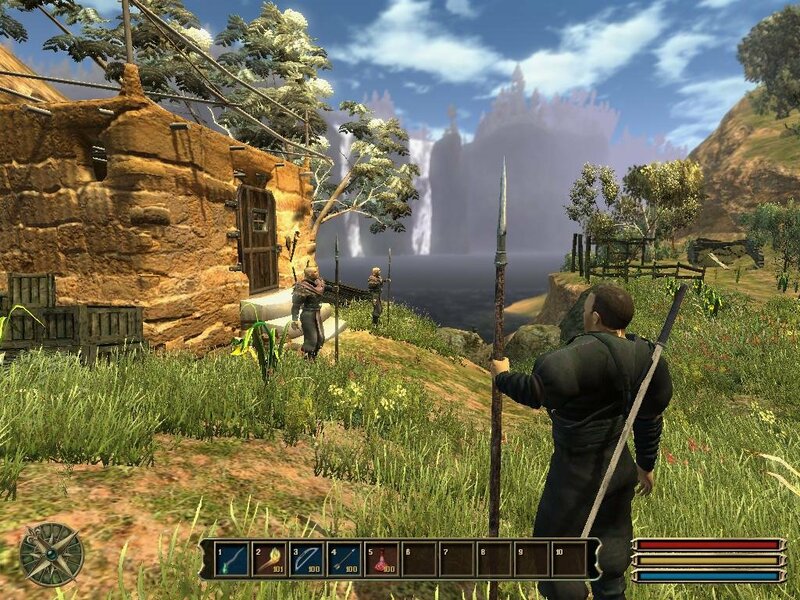 In particular, the user interface for inventory and character management was stubborn and obtuse, and the first-person combat system lacked much grace. 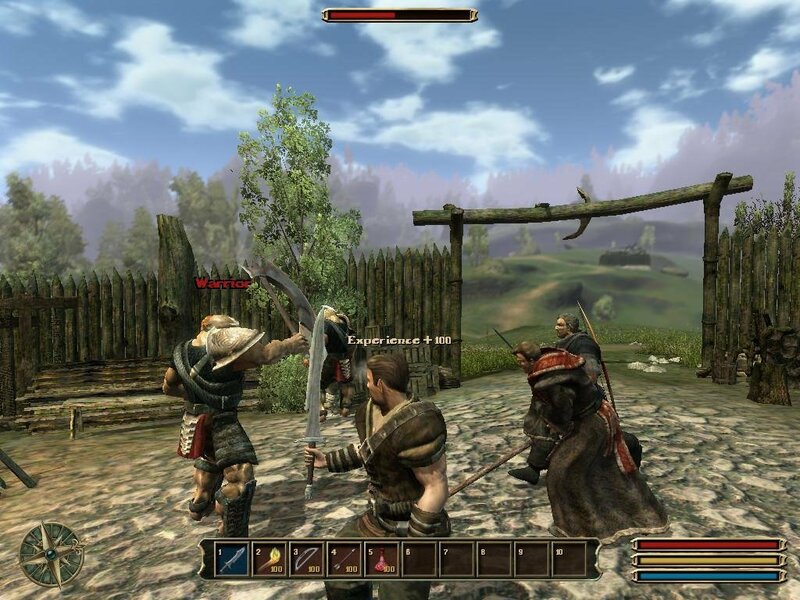 These flaws were easily glossed over by the series’ strengths, like the nonlinear plot and the fully realized NPCs with whom you shared each game’s world. 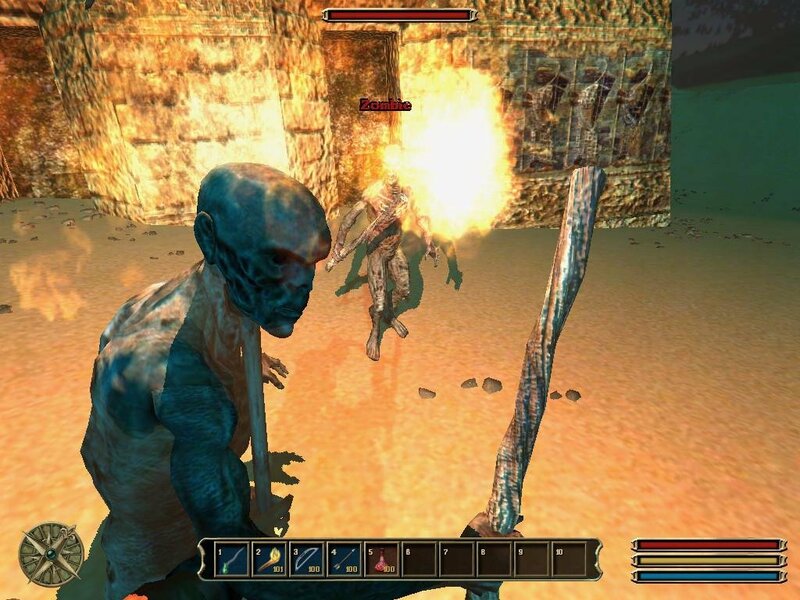 Gothic 3 was Piranha Bytes’ chance to bring it all together and make the definitive nonlinear epic fantasy RPG for the ages. A small team of 21 folks that have stuck together throughout the series, the developers have learned a lot of lessons, and have listened extensively to customer criticism. 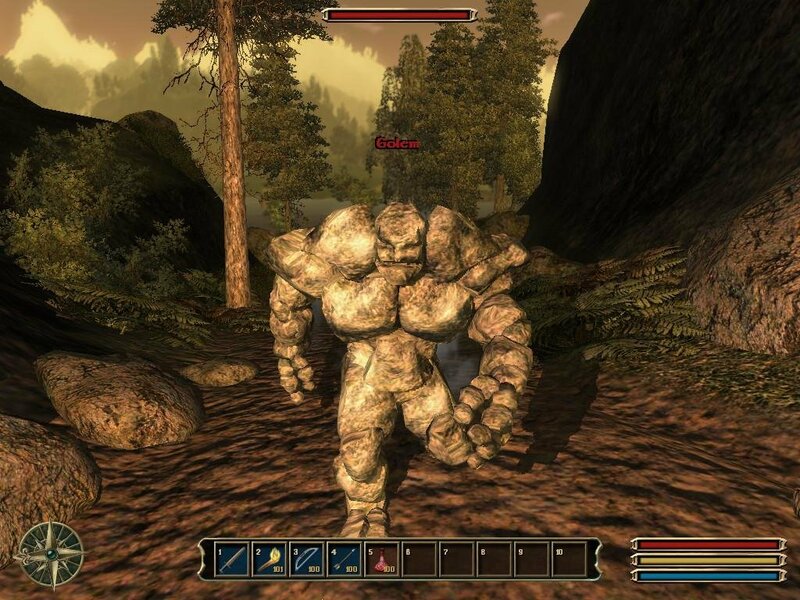 In particular, the user interface and combat system have been overhauled. 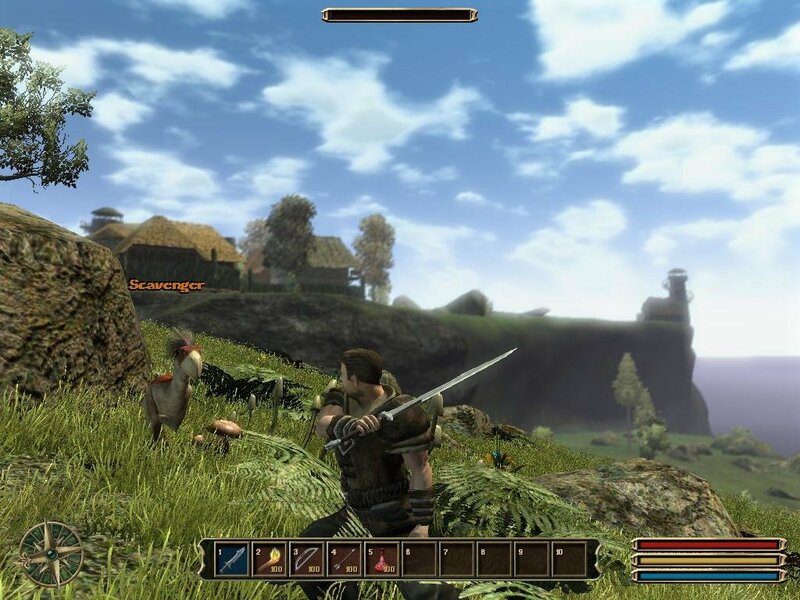 The game world has grown. 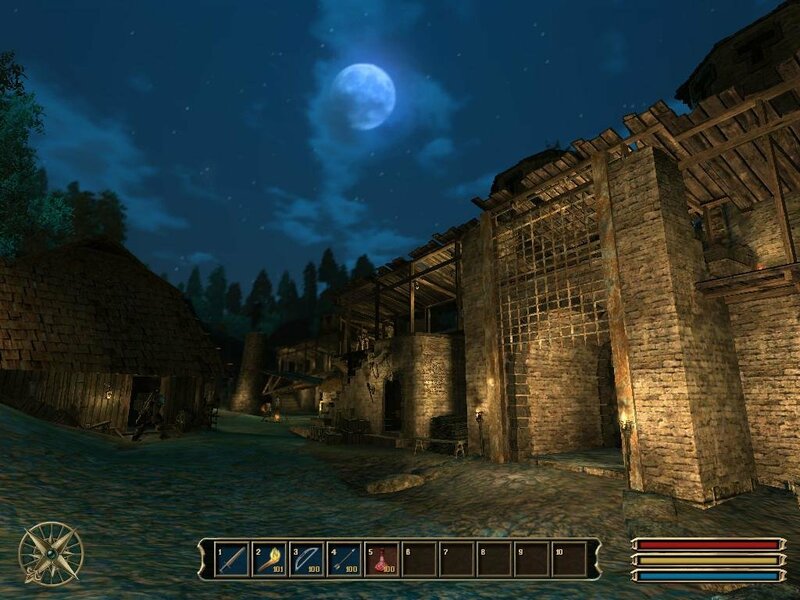 While the mainland of Gothic 2 was around 1 square km and had but one harbor city, Gothic 3 spans ten times that size and contains about twenty urban settlements that range from tiny villages to a large capital city, spread across three climates – desert, forest and alpine. 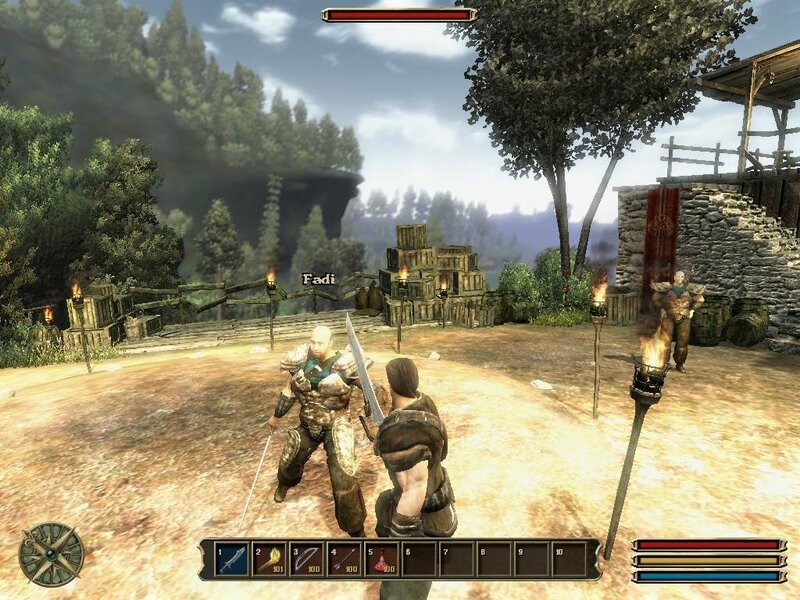 There are hundreds of NPCs, thousands of monsters, and countless swords, spells and armor sets. 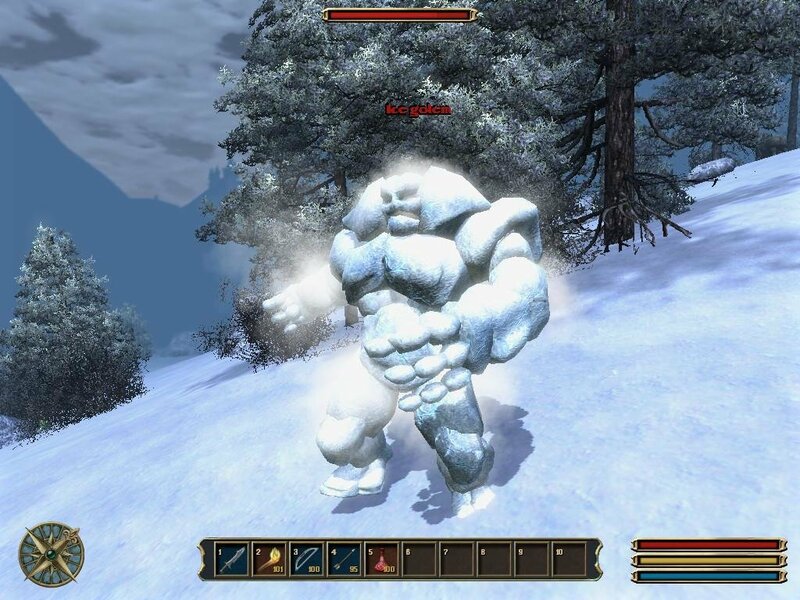 There are ten trillion side quests, a comprehensive skill tree, weather patterns and a day-night cycle. In short, it’s got a lot of stuff. 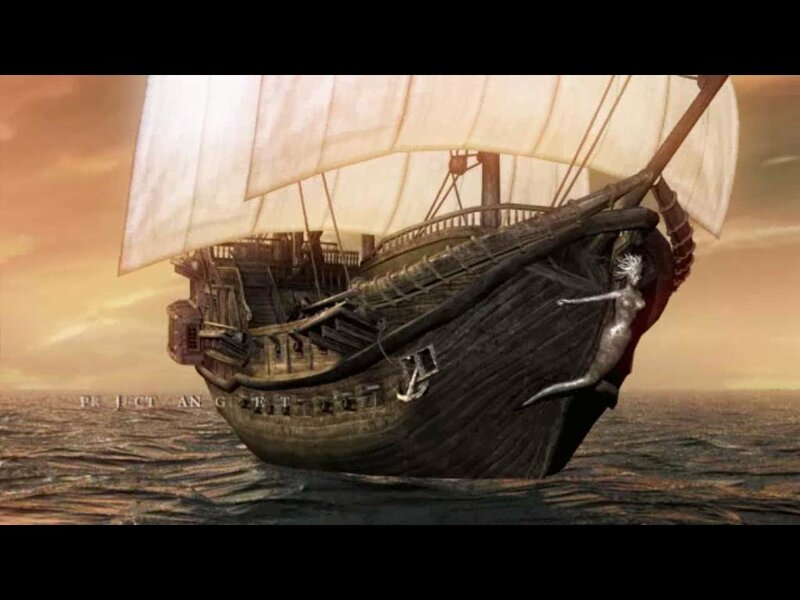 This time, the plot takes you away from the island of Khorinis to the mainland of Myrtana, where your fellow humans have been enslaved by the Orc tribes and their monstrous leader, Kan. 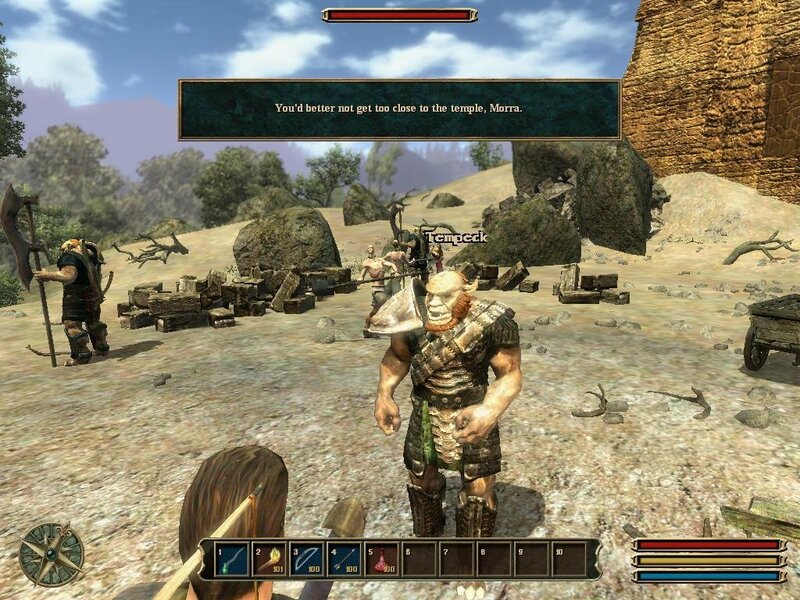 Unlike the savage and brain-dead Orcs of older Gothic games, however, the ones here speak English and won’t immediately attack you. You can, in fact, join the Orcs as a faction. 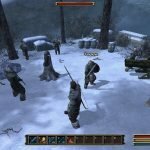 Gothic 3 contains a bunch of factions you can join. Two are struggling against the Orc oppressors: the Water Mages and the Nomad tribes that follow them and the Nordmar Barbarians of the frozen northlands. Opposing them are the Hashishan, who have been selling the Nomads and the other folk of Myrtana into slavery for power and profit, and the Black Mages, who rule the Hashishan through their mastery of the darker arcane arts. 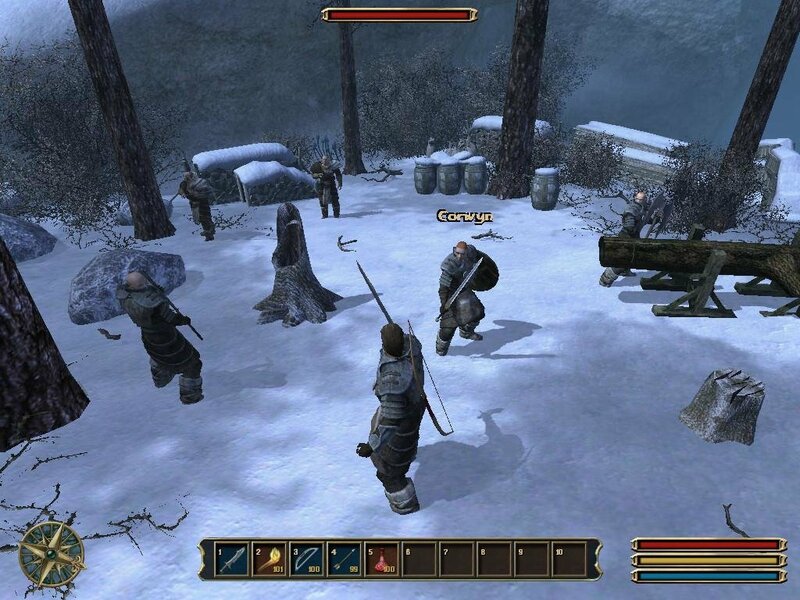 Internal struggles in the human factions can lead the player to work with either group (or with both, for a time). It’s up to you to decide which faction to join. For example, if you’re looking to play the cruel mercenary, you may want to cozy up to Zuben, the leader of the Black Mages. 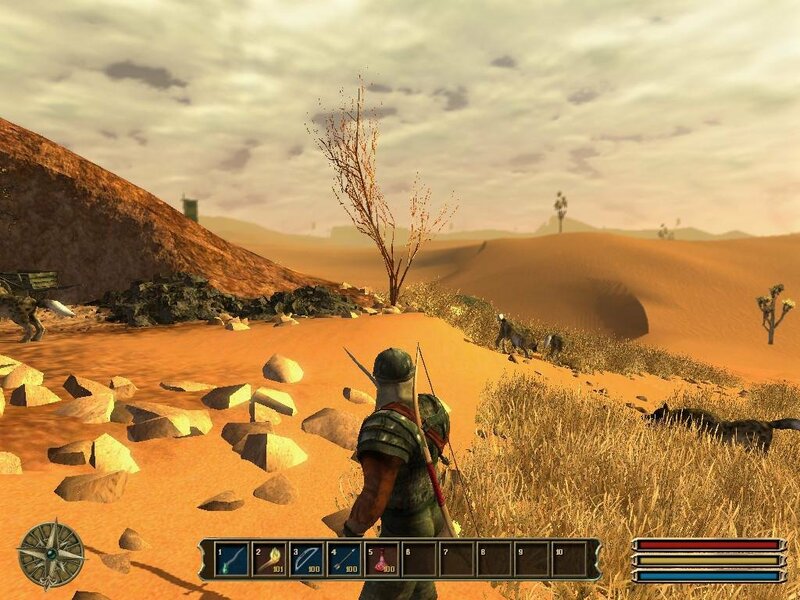 But if you’re more of a moral crusader who wants to free the slaves, then you could join the human rebels and perform their quests which will eventually lead to rebellion. 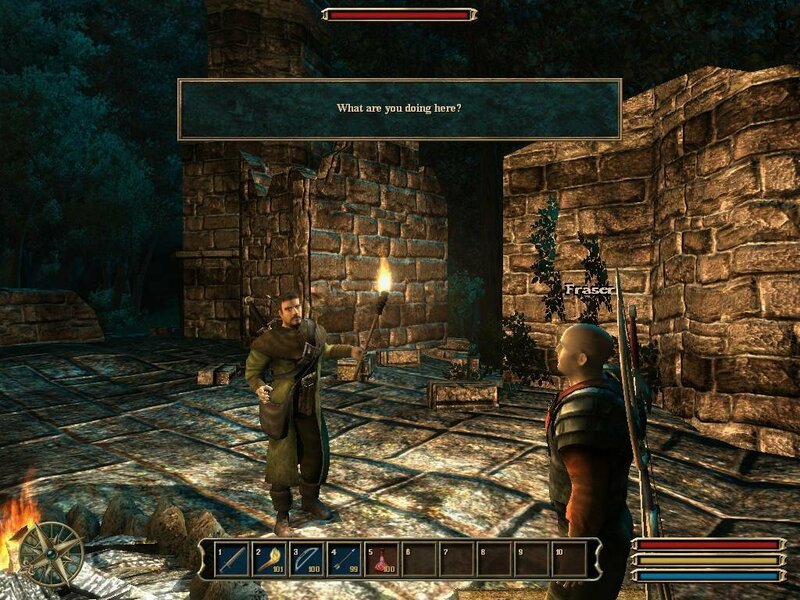 Your choices are reflected in dialogue options, quests, factional affiliations, and a whole host of subtle branching options embedded in each component of the game. As ever, the ending you receive will depend on who your chosen allies were throughout your adventure. 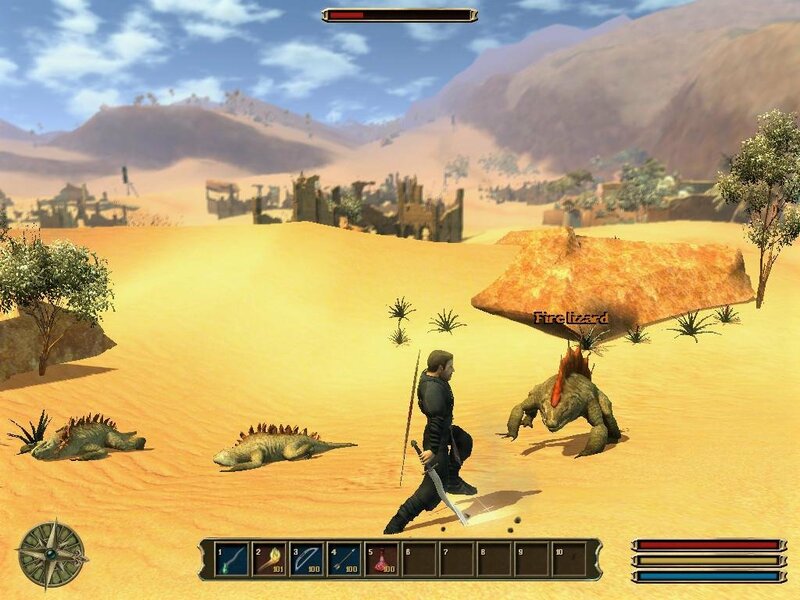 The new combat system is still a real-time sword-slingin’ and spell-spammin’ affair, although significantly changed. The animations are better (as long as you’re not in first-person mode), but the mechanics are a lot more simplified, and equally less interesting in the long run. Alternatively, those players who are less inclined to favor facing their foe down with steel can use powerful magic from a distance. There are also several cool spells, including Time Warp (which slows down time around the player) and Army of Darkness, which summons a horde of angry ossified undead. The visuals for these spells are ratcheted well beyond those of the prequels, with eye-popping light and smoke effects. Magic weapons, by contrast, remain rare. 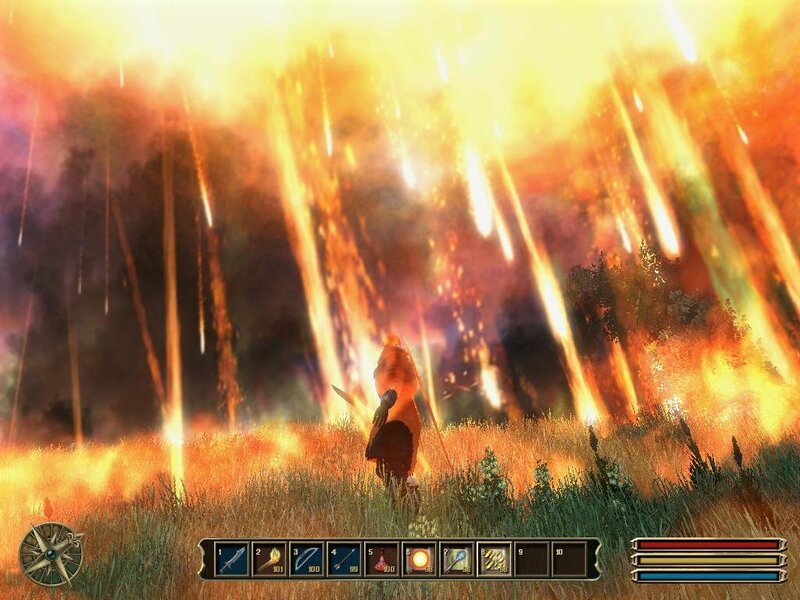 One of the most powerful spells lets you bring down a meteor shower that temporarily turns the area around you into a hellish landscape, roasting everything in sight. 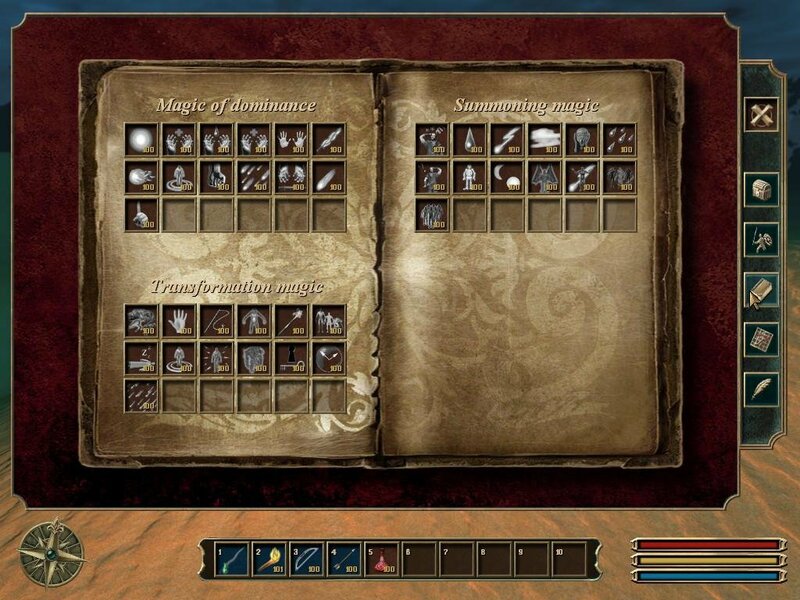 So yeah, Gothic 3 has a lot of stuff in it. A huge island, lotsa cities, non-player characters, skills, you name it. But there comes a time when you think that there’s a little bit too much stuff, that making the world bigger eliminates any value that extra real-estate would hypothetically bring. 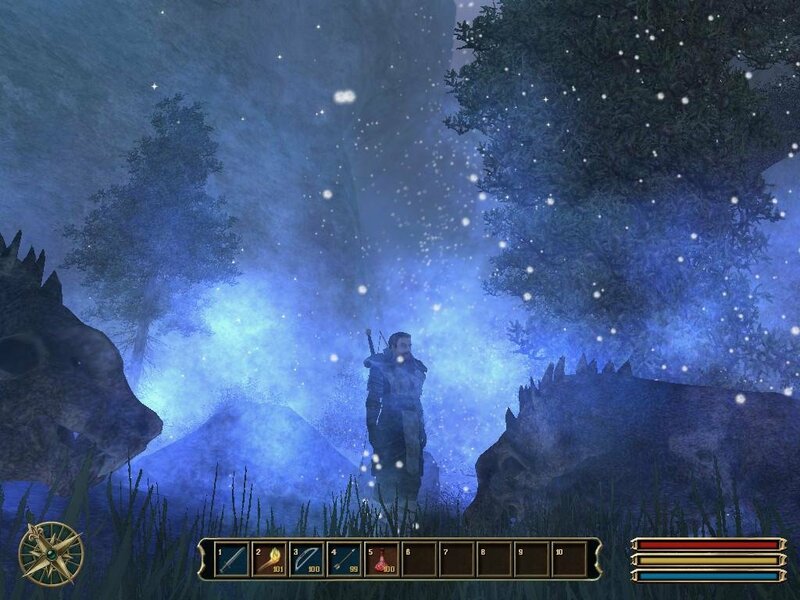 I got this feeling after I’ve spent 15 minutes walking from one town to another, fighting the same generic monsters I had for the past three or so days. It was starting to feel like a grind, more work than fun. 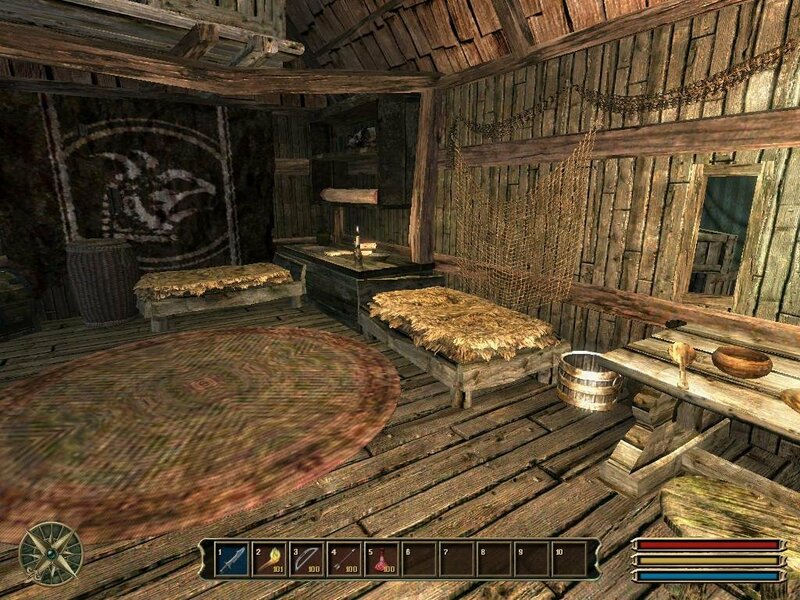 The side quests are also not nearly as imaginative as they could have been, far eclipsed by those in Oblivion. They’re the regular ‘kill these monsters’ or ‘fetch me this item’ sort of quests that so often plague role-playing games. 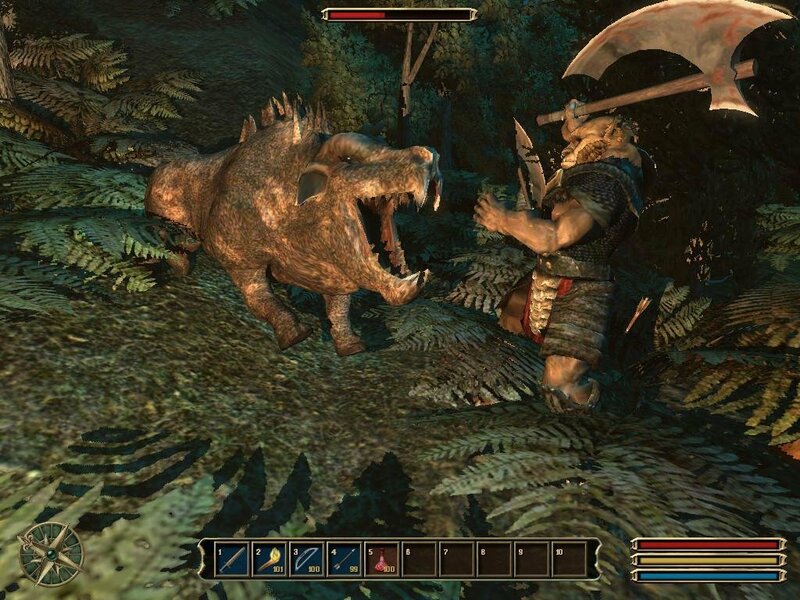 For instance, almost every new town you’ll find will have a few packs of wild beasts scattered around the city waiting to be culled, and it’s just a matter of finding the right NPCs willing to reward you for the task. 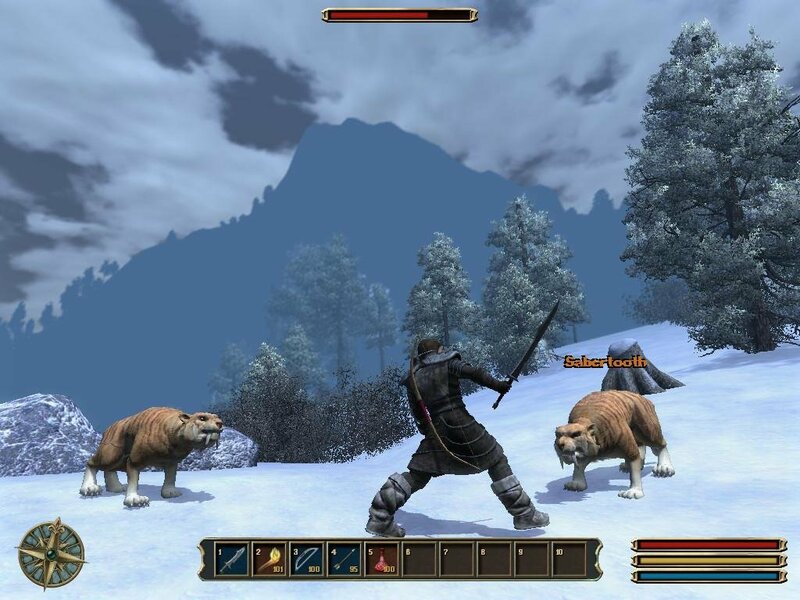 Even if you kill the animals before talking to the appropriate NPC, the game automatically adds the quest to your log and marks it as ‘completed’. This speaks a lot to the formulaic nature of the quests. The NPCs themselves, while more numerous, are dry and uninteresting. Their delivery is more business-like this time, which means you’ll rarely find characters that echo any sort of identifiable personality. The meeting with Xardas, for instance, should have been one of the high points of the game – it certainly took a lot of time and effort to find the guy – but the long-awaited meeting turns into a one-minute conversion that merely leads you to the following generic quest. For a game series whose main focus is on plot and character interaction, this felt like a total waste. 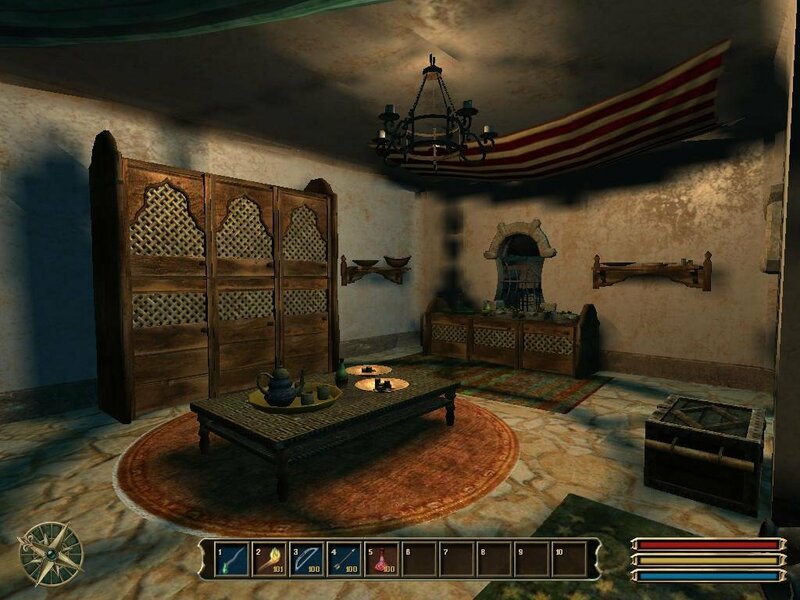 There was definitely something special about the Gothic series. It’s always had a fierce ambition that made you overlook the less admirable flaws. With their focus of complex character interactions and good storytelling, the first two games have won me over. The third one, alas, seems to have lost much of that retro magic, going with a dead-brained ‘more is better’ approach. 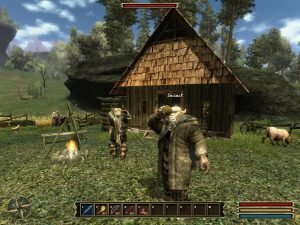 Some people may enjoy it, but those who are unfamiliar with the series should try the originals first before embarking on Gothic 3. Finally, I managed to reach the end of this game. I liked Risen. 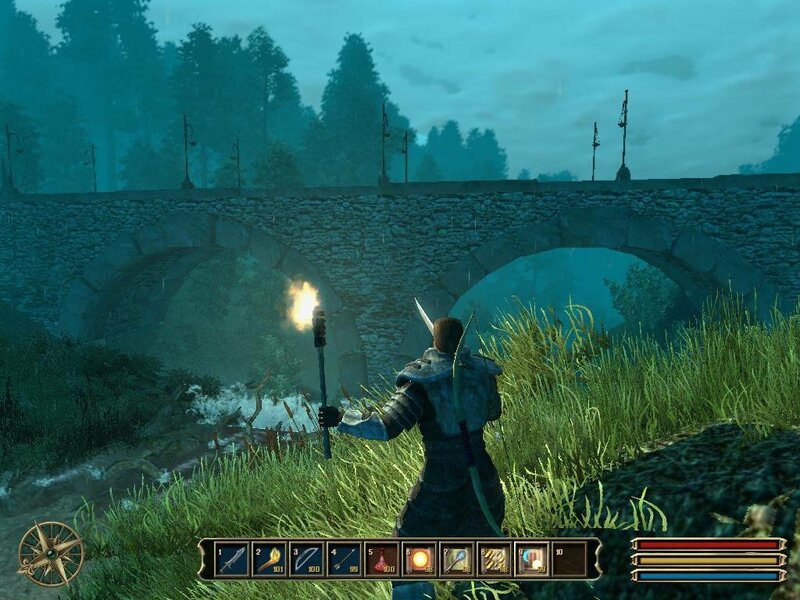 Gothic 3 and Risen have a lot of similarities. Wilderness is a real danger. I like to explore, to hunt beasts, to gather things here and there. And there is a lot to see. But the main problem is that you can get stuck because of a key NPC that disappears after you liberate a city (mora sul). 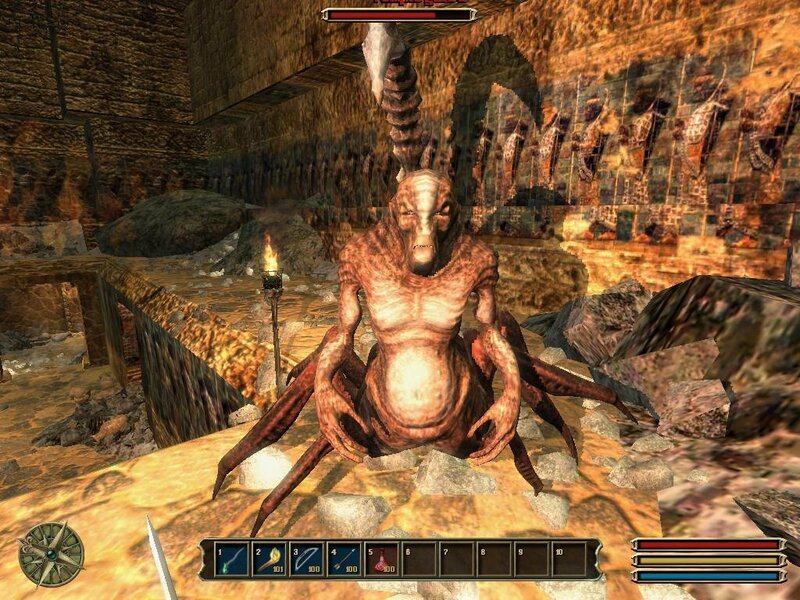 Or NPCs themselves can be stuck like Milden, so you can wait for him all your life in the monastery. Patches have corrected a lot of issues but it was not enough. This game is still enjoyable overall. And what a soundtrack provided by Kai Rosenkranz, great work. Thanks for sharing.